Growing up in Italy, a young boy named Giuseppe learned the value of a hard day’s work. At twelve he began working for a local coffee roaster and quickly learned the art of small batch artisan espresso coffee roasting. In 1968, Giuseppe opened his own shop in Chicago and served the first ever cup of espresso on American soil. The business prospered as people fell in love with the smooth taste of these aromatic Italian coffees. 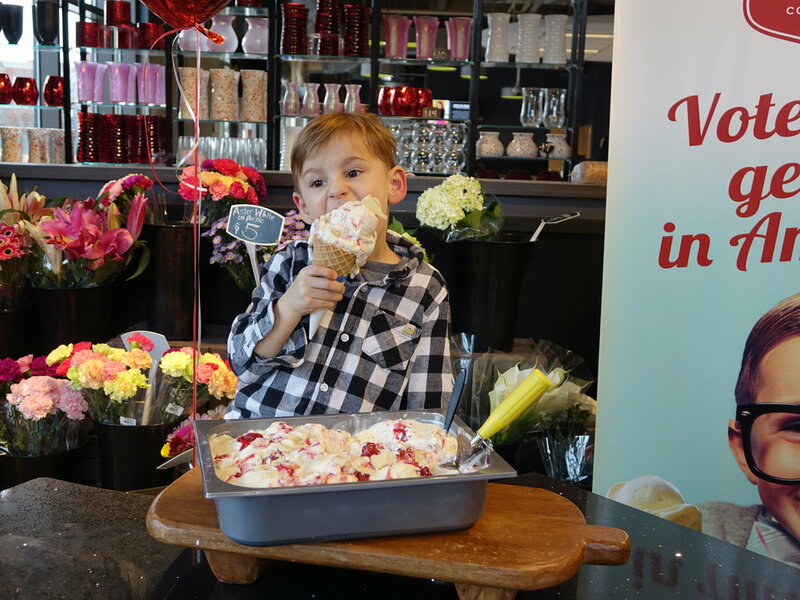 To help create an authentic traditional Italian café experience, he called in a master gelato maker from Rimini, Italy to train him in the fine art of crafting genuine Italian gelato. Today, Giuseppe’s son Angelo has incorporated his own passion for sharing his Italian heritage. His premium coffees and espressos are still fresh roasted locally in small batches to ensure a consistently full-flavored, well-rounded taste. His gelati are made daily, using traditional Italian techniques, and each heavenly flavor is made from all natural imported fruits, berries and nuts for an intensely flavored, silky smooth indulgence. Angelo Lollino was born and raised to make amazing coffee, award-winning gelato and great Italian food.He grew up in Chicago in an Italian family that owned and operated Ristorante Italia for nearly 30 years. 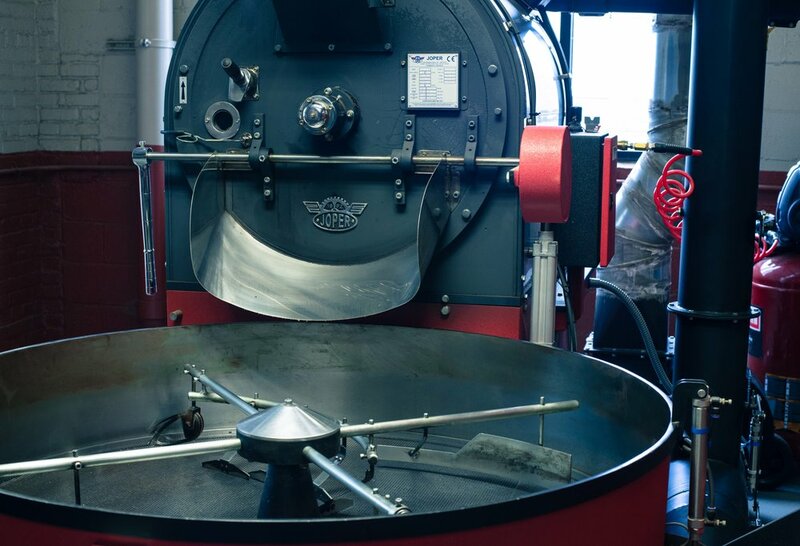 Angelo’s father was also a master coffee roaster, and one of the first to introduce espresso coffee in the U.S. through his wholesale coffee company and cafes that also served house-made artisan gelato and Sorbetto. As Vice President and Operations Manager of Ala Mode Inc., Giovanna Lollino plans, directs and coordinates all internal operations. This includes day-to-day responsibilities of improving performance, productivity, efficiency and profitability at Ala Mode Inc. and at Massa Cafe Italiano. She has nearly 20 years of implementing effective methods and strategies like book-keeping and scheduling, examining financial data/statements, contributing to day-to-day success of operations, and recruiting, training and supervising human resources department. A graduate of Kendall College, Joey earned his degree in 2016 for Hospitality Management. He was recruited by Aramark and managed concessions and hospitality at popular Chicagoland venues, including First Midwest Amphitheater, Huntington Bank Pavilion at Northerly Island and the Allstate Arena. Joey enjoys working in the food-service industry as well as cooking at home. Steven holds more than 30 years expertise advising small to large corporations through critical change, stabilization and effective profit engineering processes. After 10 years as CFO of the $250 Million company, European Imports, he has joined Alamode Foods, Inc. as Chief Financial Officer/CPA. He has been responsible for the overall financial management of companies, their financial reporting, operational and administrative activities. Steven excels at growing and effectively managing businesses with customized financial strategy tools and models that support and promote planning and forecasting. Originally from Macedonia, Nadia moved to Chicago and got her start in the food industry by working at Massa Cafe Italiano. Her “get it done” attitude and great organization skills made her the perfect fit to become Alamode Foods’ account representative. Currently, she spends most of her days merchandising, invoicing, and ordering product. Nadia loves being surrounded by passionate people and experiencing something new each day at work. When she’s not at Alamode Foods, Nadia is most likely on a plane. She has serious passion for travel and is completely in love with Europe, especially Greece. If it involves cooking, Natallia loves it. After working 4 years as a pastry chef and assistant bakery manager, Natalia became Alamode Foods’ production manager. She spends her days maintaining inventory, doing quality control, and leading production. Natallia loves working for Alamode Foods because it gives her the opportunity to create new flavors and learn new aspects of the industry. When she’s not managing production, Natallia makes sure to live her life to fullest by traveling, hiking, and enjoying concerts. Omar got his start in the food industry over 24 years ago. He originally set out to become a chef but found he loved working with coffee much more. 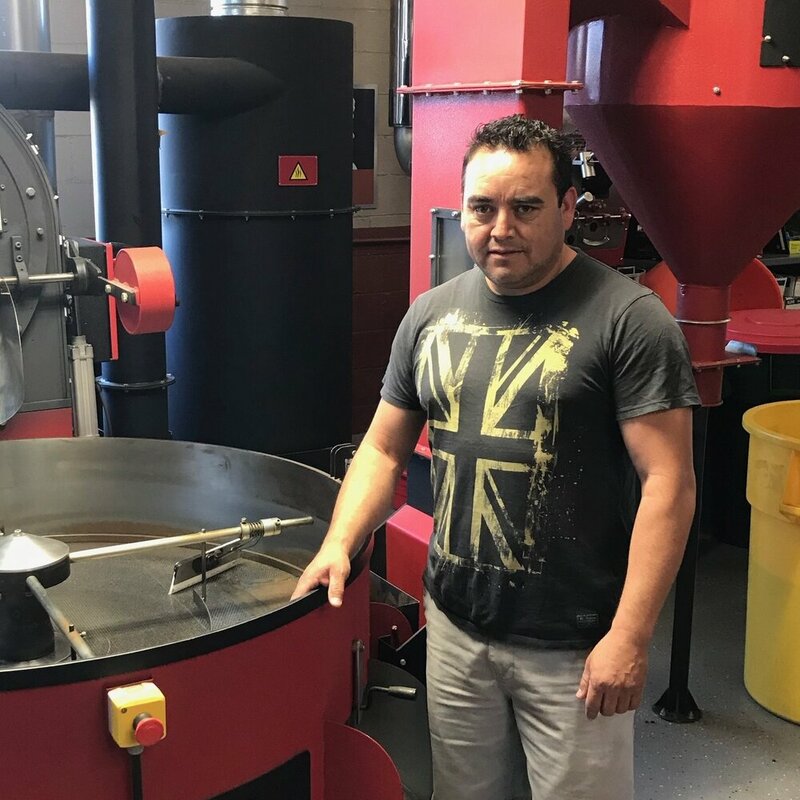 He has worked at Alamode Foods since we began operations, and he is currently our lead coffee roaster. 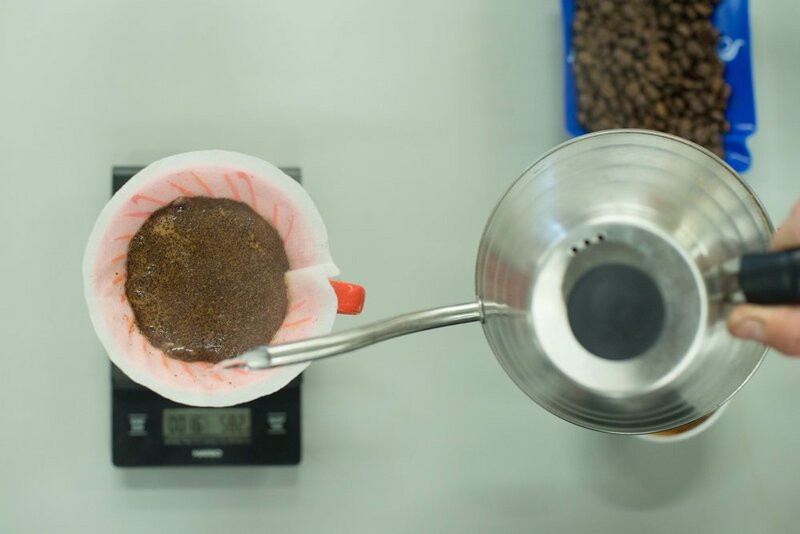 As the lead coffee roaster, he dedicates his time to mixing and experimenting with new blends. Omar’s favorite part of working with us is that each day is unique and there are always new projects to work on. Omar loves soccer and still plays today. Vicente has forged his path in the food industry through hard work and determination. He began his career over 15 years ago working in food delivery. He joined the Alamode Foods team 5 years ago, and he is currently our coffee operations manager. Vicente is responsible for machine maintenance, packaging, receiving, delivering, and invoicing. 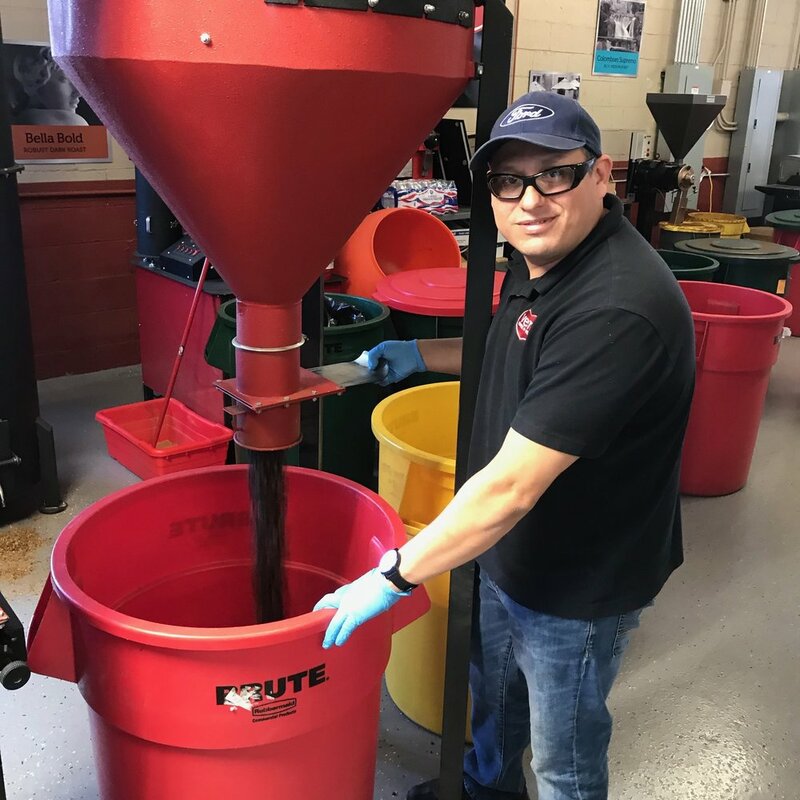 His favorite parts of his work day are experimenting with new coffee flavors, learning more about the industry, and meeting new people. Outside of the office, Vicente spends his time listening to music and working on cars. © 2018 Alamode Foods, Inc. All Rights Reserved.